Growing up in New York City was something else. I was exposed to so much multicultural lifestyles, which my kids will never experience living in a semirural area of New Jersey. New York City has a unique vibe when it comes to movies made in this town. 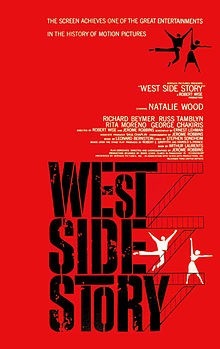 This classic musical adapted the Romeo and Juliet story to the rough streets of 1960 New York City with the gangs of Hell’s Kitchen on center stage. Watching this as a child, it was funny that I wanted to be a Jet, especially after hearing the rousing song “When You’re a Jet,” which espouses being part of a group that protects you and is always with you. Being of Puerto Rican descent, I should have been identifying with the Sharks, the rival gang of Puerto Ricans. New York City was an exciting place filled with opportunity, but was not without its racial tensions. It was a place of immigrants, where so many ethnic groups took up their places and established their turf. The movie was set in the mid and lower West Side of Manhattan with its chain link fences, concrete parks and endless tenements. It had a very bleak, hard and gray color palette. Many years later I had a summer job counting change from pay telephones at a New York Telephone facility near 12th Avenue and I frequently took walks at lunchtime and ate my lunch at Hell’s Kitchen Park among some homeless people and the pigeons. 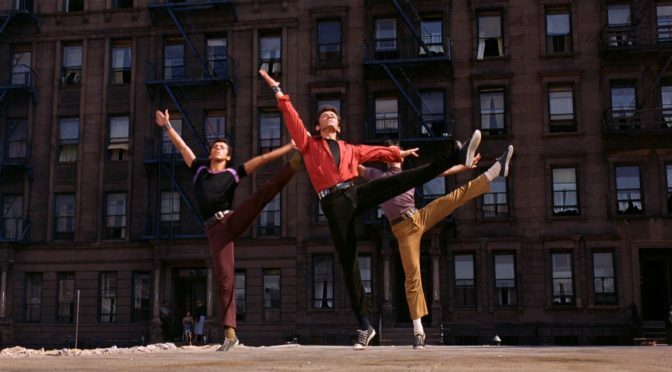 I thought of “West Side Story” and wondered if this was a park that they may have filmed around. From ‘60s era gangs in New York City we move up to the late ‘70s gangs in a time when my brothers and I were growing up. This was the story of the rising gangs of the late ‘70s, when New York City was in a fiscal crisis and grappling with high crime, drugs, burned-out buildings and overcrowding. The movie’s premise is that rival gangs come together to overpower the police and rule the city. It opens with a view of the Wonder Wheel ride and the Warriors, a gang from Coney Island in Brooklyn, and their journey to the Bronx for a meeting of the gangs of the city. They travel by subway from Coney Island to Van Cortlandt Park in the Bronx, although as they follow the map it looks like they are headed to Pelham Bay Park. This is one of the discrepancies that movies have when it comes to navigating the true geography and logistics of the city. It was all so familiar to me as I had traveled from the Bronx to Coney Island many times to visit Astroland, home of the famous Cyclone rollercoaster, and the Wonder Wheel, a crazy Ferris wheel ride like no other on the planet. Cyrus, the charismatic leader of the Riffs, holds the crowd of gangs mesmerized with a rousing speech on how they fight for their own turf and never really accomplish anything. But if the gangs can unite, they can overpower the police. In the midst of his speech and many “Can you dig it? !” lines, Cyrus is shot and killed by the leader of the Rogues but the Warriors get blamed. 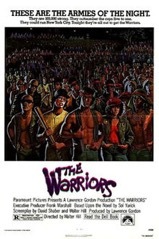 The movie then tracks the Warriors’ flight home to Coney Island by train and foot through the neighborhoods of New York, fighting all the gangs that are now after them. Being born and raised in the Bronx I had personal experience with neighborhood gangs, like the Black Spades and the Savage Skulls. My older brother was actively recruited by one of the gangs but amazingly was able to escape without consequence. He said one of the initiations was having to walk along a line of gang members and get beat down by each of them. You had to make it to the end of the line to pass. This movie received a bad rap after its initial release as fighting was reported to have broken out in and around some of the theaters but it has now gained some cult status. The movie was filmed throughout New York City and included some great fight scenes, including a fight with the baseball bat-wielding gang, the Baseball Furies; a heated furniture- smashing, gun-shooting fight with an all-girl gang the Lizzies, and a subway bathroom fight with the Punks, led by a roller-skating captain. Leaving the gang world, here’s another movie in another period that holds some infamous New York City crime history. The summer of 1977 was hot and dangerous. The .44-Caliber Killer, also known as the Son of Sam, was stalking and shooting people in cars in lovers’ lanes around the city. The police were not making progress and the city was in a panic. 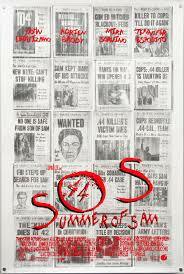 This movie by Spike Lee depicts a Bronx neighborhood terrorized by this killer but more from their own paranoia and growing distrust of one another. Again, my neighborhood could have passed for the one depicted in this movie, especially with one memory that comes to mind. From the time of the first shooting in the Pelham Bay Park area of the Bronx, which was not that far from us, many of the neighborhood people became very concerned and worried about their teenage and young adult children. One night after one of the shootings, much of the neighborhood was out on the street weighing what to do. My oldest brother Ralph had a car and would cruise around during the weekends and we were all told by our parents not to go out and park anywhere. There was chaos and worry, which escalated as more shootings occurred. This movie captured the time and the mood perfectly as we had experienced it.